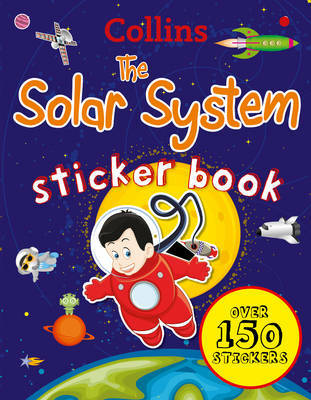 A fun activity book for 5-8 year olds, this exciting sticker book is full of awesome images of the planets and galaxies. With over 150 reusable stickers the book is a perfect introduction to the ever popular topic of the planets and intergalactic space. An introduction to the ever-popular topic of space and the amazing worlds that make up our solar system. Written in clear and easy-to-follow language and packed with colourful illustrations, photographs and peel-able stickers. Young children can find out facts about the Sun, the planets, asteroids and comets. Educational and entertaining, and full of colourful photographs. A perfect combination of learning and fun.